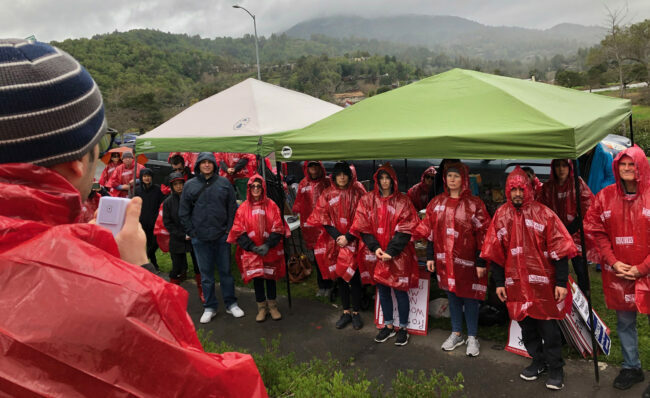 In a victory for workers and patients at Marin General Hospital, more than 60 imaging technologists, who staged a one-day strike last month, unanimously ratified a five-year contract Thursday that will raise average wages by more than 30 percent over the length of the contract. One day after the ratification vote, we won an election to represent 28 pharmacy and medical technicians. The average worker will get raises of 16.5 percent over the five-year contract, which expires in 2023. The agreement also includes higher wage scales, so workers will get additional raises both initially and as they gain seniority over the course of the contract. Most workers will see their salaries increase about 7 percent immediately. The employer will provide an HMO health plan with 100% employer-paid premium contribution and a PPO plan that will now include some shared costs.